Boiler breakdown cover eliminates the hassle and stress of having to find an engineer in an emergency. Heating cover can offer security and assurance that a problem can be fixed quickly avoiding an unexpected and potentially expensive repair bill. The price and what is included in the cover varies greatly - Boiler Guide compares the deals currently on offer from the leading suppliers. All covers displayed include parts and labour, 24/7 emergency helpline and unlimited call outs. Sorry, we couldn’t find any products for those filters. Please reset your search. Boiler breakdown cover eliminates the hassle and stress of having to find an engineer in an emergency. Heating cover can offer security and assurance that a problem can be fixed quickly avoiding an unexpected and potentially expensive repair bill. The price and what is included in the cover varies greatly – Boiler Guide compares the deals currently on offer from the leading suppliers. All covers displayed include parts and labour, 24/7 emergency helpline and unlimited call outs. Within these four groups, each boiler cover provider will have their own variations of what is included in their plan. It’s a good idea to compare a range of plans before committing to buy so you can find one that gives the best deal and suits all your requirements. What’s included in a boiler cover package? Depending on the plan you choose, there are several features and services that may be included. Some plans offer annual boiler servicing as part of their cover and some will cover the costs for any parts and labour needed. Unlimited call outs are provided by some suppliers and some even guarantee same day response. Whether these options are included in your plan, will depend on the level of insurance cover you require and how much you are prepared to spend on your premium. Always read the small print before signing up to a boiler or central heating cover plan. All providers usually have some limitations on what is included. Some put an upper limit on the amount that can be claimed, others offer a limited number of call outs per year. Always check what the provider terms as an emergency. Situations such a dripping tap may not be entitled to a call out from an engineer or a boiler over a certain age. How important these limitations are to you will depend on exactly what you require from your insurance, the level of service you want and the financial cost of the premium. It can be inconvenient and annoying if your boiler or central heating system happens to break down. Not only are you left with a cold home but also it can be difficult finding a plumber at very short notice. If you have boiler insurance, you will have peace of mind that should a breakdown occur, it will be dealt with quickly and efficiently by a qualified engineer provided by your heating cover supplier. 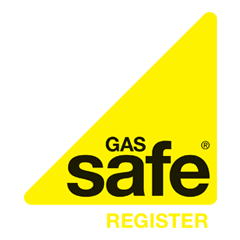 All heating engineers sent out by boiler insurance providers are Gas Safe registered and fully approved, meaning the work will be carried out professionally. Help will be available to you, as and when you need it. Am I eligible for boiler cover? Some providers will not cover boilers over a certain age. It is unlikely you will be offered insurance for a boiler over 15 years old. Council tenants are excluded from purchasing boiler insurance or heating cover. There will be provisions already made in their tenancy agreements for any repairs or emergencies. Properties used for commercial purposes are excluded from certain cover plans. Not all providers will offer cover for homes with a very large boiler output. Properties with seven or more bedrooms are usually ineligible. If you own your own home, you are eligible to take out boiler insurance except if you live in a bed-sit or mobile home. If you rent your home privately, it is your landlord’s responsibility to arrange boiler cover and council tenants have special arrangements laid out in their tenancy agreement provided by their local authority. Not all central heating systems are eligible for heating cover and boiler insurance. Most providers will not cover a system over a certain age, as repairs will not be economical. Older central heating systems and boilers may break down frequently, resulting in expensive repair costs or replacement parts may no longer be easily obtained. Did you know that you don’t have to take out your boiler cover with your energy supplier? If you currently have cover with your energy provider, you are free to change to another company if you find a deal that better suits your needs, without switching energy supplier. Before cancelling your current boiler cover plan, check the small print in the terms and conditions. Each provider will have different methods for cancelling or terminating cover plans. Sometimes the procedure may be as easy as letting your supplier know you wish to end your contract and cancelling your Direct Debit, if you have one. Sometimes when you cancel insurance your provider may offer you a refund on the time remaining on your plan. This will depend on several factors, such as whether you paid the full premium in advance or whether you have made any claims during the period of cover. Not all providers will offer a refund; however, some may offer a full refund and others only a partial amount. Switching your heating cover provider is a simple and straightforward procedure but first of all ensure you compare prices of all the boiler insurance and heating cover plans available. If you find a supplier who can offer you a better deal and provide you with cover that suits better, you are free to switch at any time.